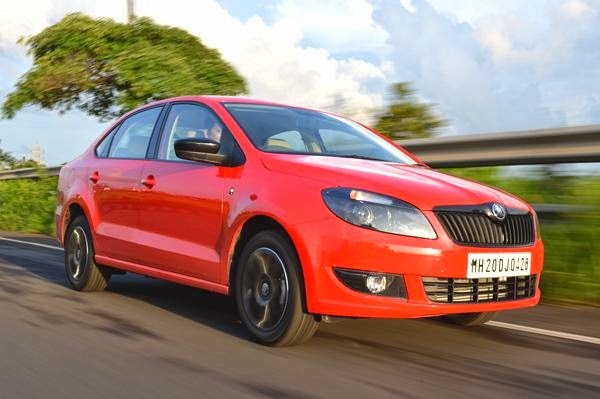 This car you see is the Skoda Rapid with mechanical updates and a new cosmetic package. Highlight of this car is the addition of VW’s made-for-India 1.5-litre diesel and the seven-speed dual clutch transmission. Skoda is offering the DSG unit only on the diesel Rapid. Automatics are not as fuel efficient as manuals, but Skoda claims, the hi-tech dual clutch variant is a more frugal sipper than the manual one! But the price won’t be that frugal. 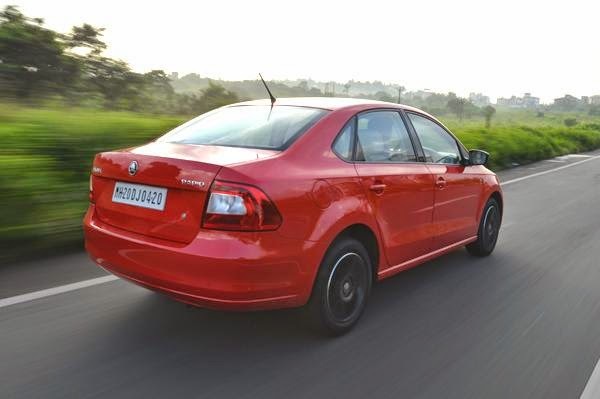 The Skoda Rapid TDI DSG is expected to be priced around a lakh more than the manual variant. So, should customers shell out the extra dough for the convenience? 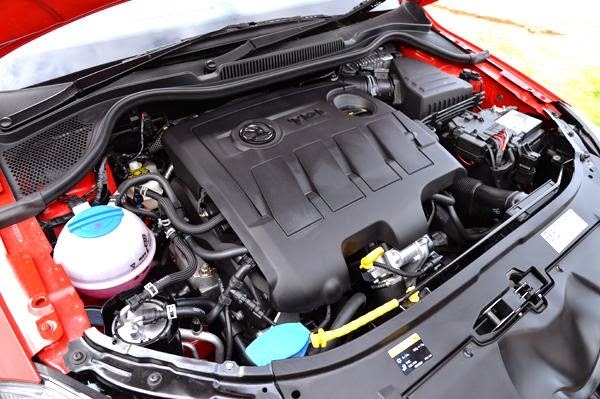 Skoda uses the downsized 1.6-litre motor from the current car albeit with a reduced bore of around 2.5mm, which brings the displacement down to 1498cc. This updated engine produces the same 103bhp and 25.5kgm of torque despite the 100cc lower capacity. 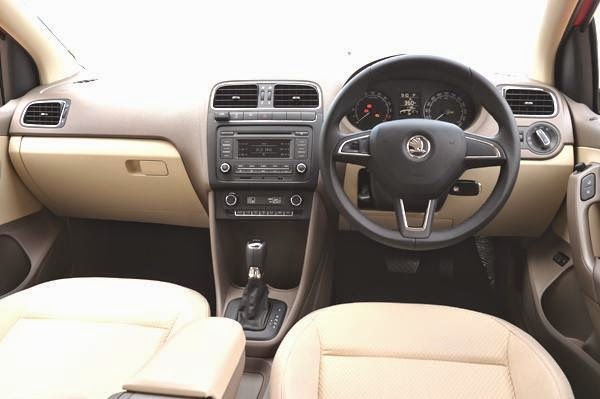 Unlike the Octavia and Superb diesel automatics, which have six ratios, the Rapid diesel comes with a seven-speed dual clutch automatic transmission. This is the same dry dual clutch plate transmission that does duty in the Polo GT TSI and the VW Vento auto. The biggest advantage of using this DQ200 gearbox is that the extra cog makes it more efficient, and it’s more than capable of taking the 25.5kgm torque load. This engine has a lot going for it. It’s a twin-cam unit, breathing through 16 valves and making its max torque from a low 1500rpm. Thanks to this, a squeeze of your right foot will result in a good amount of thrust from the get-go. The wide power band and strong midrange result in effortless performance. Overtaking is easy, the DSG ’box snaps up lower ratios almost as soon as you ask for downshifts, and the effortless gait that the car settles into makes it feel relaxed in most situations. Thanks to this, the Rapid covers ground rapidly and feels comfortable, even at high speeds. It’ll hit 100kph in 11.9 seconds, and we expect the figures to improve considerably once the car is fully run-in. However, this motor is not exactly refined. At idle, there is a distant clatter from the motor, and the engine gets quite vocal beyond 3,000rpm, and, unlike the 1.6, it doesn’t rev as freely either. Though this engine has good responses at low speeds, there is a bit of turbo lag below 1800rpm. But, once past that, there is a huge surge of power. The abrupt delivery of power can make it difficult to drive smoothly, but overtaking is quite easy thanks to the ample torque on offer. You won’t miss the absence of paddle shifters in the new Rapid because you won’t really find the need to use them. The Rapid retains the suspension setup. So, you have a car which rides comfortably and has the good all-round stability to make it well-suited for long distance cruising. The low-speed ride is good, with only large potholes thumping through to the cabin. At high speeds, the soft suspension does tend to bob over undulations, but it never gets uncomfortable. And if you are in the mood for some fun at the wheel, the Rapid has good handling characteristics, and the light yet precise steering adds to the overall confidence. Other than the updated engine with a DSG ’box, the Rapid also comes with the option of a Black package that costs around Rs 20,000. This package is only available on the top Elegance variant, and gets more features than the standard car. This includes blackened projector headlamps and foglamps. The grille too is finished in black, which looks classy in today’s age of excessive chrome use. What also stands out on this car are the black mirrors and alloy wheels. Apart from this, you can also opt for a blackened roof and black side foils directly from the dealer. The cabin remains unchanged and you get the same high-quality interior with good fit and finish. The front and rear seats are comfortable with loads of space, and the wide rear bench can seat three abreast in reasonable comfort. The Rapid TDI DSG will be available in the mid Ambition and the top Elegance trims. The Elegance variant which we tested came with additional features like rear parking sensors, cruise control, card holder and new-design 15-inch alloys. But what it misses out on is the unique lever to adjust the front passenger seat that’s in the current car. The Rapid TDI, with the addition of a hi-tech dual clutch gearbox, has become more alluring than ever before. The fact that the Hyundai Verna is the only rival, and comes with an old-school four-speed auto, makes it look even better. The Black package and new features only make it better. So, is it worth the extra Rs 1 lakh? We would say, absolutely. Its biggest trump card is that the additional convenience doesn’t come at the cost of performance and economy. Not many other automatics can make that claim.